When I was at Blogger, I had implemented some code to try to escape the plagiarists. I know that nothing can stop a creative plagiarist, but make it harder for them does not cost much of our work and can prevent most of our content is duplicated on the Web. One of the best things about WordPress is the freedom you have to do virtually anything you want, including the installation of various plugins. And look, there are plugins for everything you can imagine, even for things unimaginable. But few days after migrating, i started to find my writings on other blogs, and as it becomes more difficult to terminate if you’re not Google’s Blogger platform, I decided to look for some plugins to help. Today I’m posting two plugins that can help, or at least make life difficult for plagiarists on duty. This plugin is very easy to set up and has two types of locks, one is the right mouse button and the other for text selection. Just this little plugin can already make a big difference for those who like to go out by copying and pasting everything they see in front. So if you want to add extra protection to your content, I recommend it. Digital FingerPrint is a very interesting plugin. It does exactly what its name says, through a simple setup in which you choose a word or set of characters to be your fingerprint, it is inserted at the site chosen by you in all your posts. Once installed any text that is copied carries with it the fingerprint (which should preferably be a set of characters that can not be found by Google). Thus, all articles may be copied screened in various ways. This is a good choice to fight the Copy and Paste. Did you hear about these plugins before? 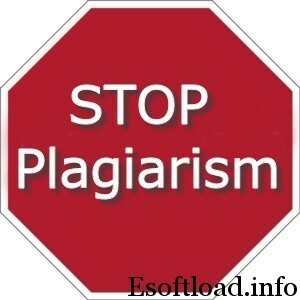 Share other ways to stop Plagiarism. User may disable the Jscript to take control over the content. i dont feel there is a perfect solution for plagiarism. yup, plagiarists are more creative now a days, but following these plugins can make their work hard……. I am not sure, about this title, Isha. If people plan to copy our articles, they can do it even without the need of right click and text selection. Anyways, thanks for sharing these wordpress plugins. yes i agree with you sathish but by using these plugin, will not so esy to copy the contents for plagiarists. Its true but plagiarists are too lazy…they will just visit another website where it’ll be easier to copy the content. Hmmm. The Digital Fingerprint is an interesting plugin. I will find out more about it. I personally don’t like the idea of disabling right-click and text selection because it will limit the visitor a lot. In any way, it will still be hard to stop plagiarism. DigitalFingerprint has been around for a while, I have used it on past blogs without much success. The only good thing about it really is that it makes it easier to track people who have stolen your work…. you still have to deal with them once you have found them. Most content thiefs use robots to automatically steal your content, they probably havent even looked at your web site. I’m not saying it’s not worth installing these plugins to make their life more difficult, just stating what I have experienced over the years.